Jan. 20 marked the beginning of National School Choice Week. This year, more than 40,000 events were held to highlight the benefits of school choice—an important effort considering the abysmal track record of the nation’s public schools and the fact that government schools have a near-monopoly on education. In 2018, more than 91 percent of American K–12 students attended a public school. Although National School Choice Week is traditionally a time to celebrate freedom, it also provides an important opportunity to reflect on the disturbing fact that the U.S. government-run school system abhors individual choice and now serves as one of the world’s largest socialist propaganda organizations. The government’s education monopoly emboldens an army of left-leaning administrators and teachers to indoctrinate students with their political ideology, which is much closer to Karl Marx than James Madison. It’s no wonder then that 51 percent of Americans aged 18 to 29 and 57 percent of self-identified Democrats now have a positive view of socialism, according to a 2018 Gallup poll. How did this happen? Could it be that the majority of those surveyed flunked U.S. and world history? Did they fall asleep during the history lessons on the horrors of the Soviet Union and Mao’s China? Probably not. It’s much more likely these people, like millions of others, have received an education teeming with socialist propaganda. Additional examples abound of teachers and administrators engaging in socialist activities inside and outside classrooms. For instance, Jesse Sharkey, president of the Chicago Teachers Union, is a member of the International Socialist Organization. He even moderated two panels at the 2018 Socialism Conference in Chicago. Other participants on the panel have been linked to the ISO and Democratic Socialists of America, the largest socialist organization in the United States. During the 2018 West Virginia teachers strike, Zac Corrigan, a member of the International Youth and Students for Social Equality, called for “living wages,” single-payer health care, a government-run universal jobs guarantee program, and the need for getting students—your children—more involved in teachers’ union activities. Many parents recognize that something is amiss in the government-run school system, but they feel trapped because they cannot afford to transfer their child to a private school or don’t have the time or money to homeschool. It doesn’t have to be that way, however. Parents can break this broken model by demanding universal education choice, which can best be provided through a universal education savings account program. ESAs allow parents to remove their children from socialist classrooms by providing them with a tax-free account that can be used to pay for education-related expenses at other public schools, private schools, or even for homeschooling. ESAs, which are funded using the money already allotted for public schools, would empower parents to enroll their children in schools that teach our nation’s founding principles of freedom, self-reliance and limited government. 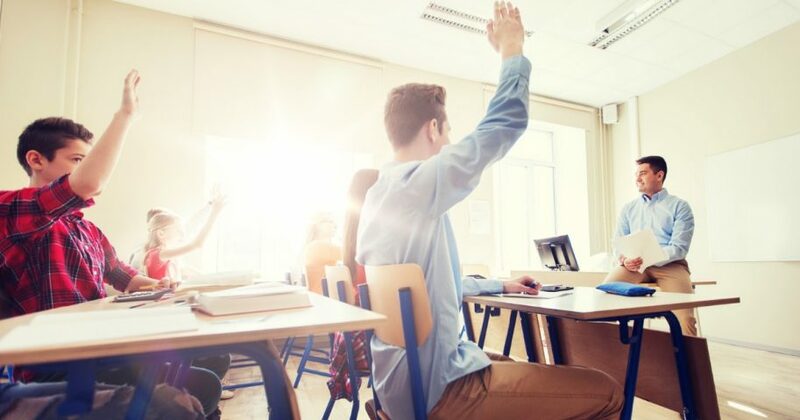 Giving parents and students education freedom would finally bring robust competition to the education sphere, forcing government-run schools to rethink the wisdom of maintaining their socialist-driven curriculum programs, including those linked to Common Core. The best way to stop the march toward socialism in the United States is to provide all parents the opportunity to choose the educational path that most aligns with their values. Until parents have the freedom to choose their children’s education, students will be unable to escape these socialist indoctrination centers. Lennie Jarratt (ljarrat@heartland.org) is project manager for the Center for Transforming Education at The Heartland Institute. Chris Talgo (ctalgo@heartland.org) is a former public education teacher and editor at The Heartland Institute.